Tweet by tweet, he spoke out against the economic inequality that paved the way for Trump—and the importance of fighting for something better. 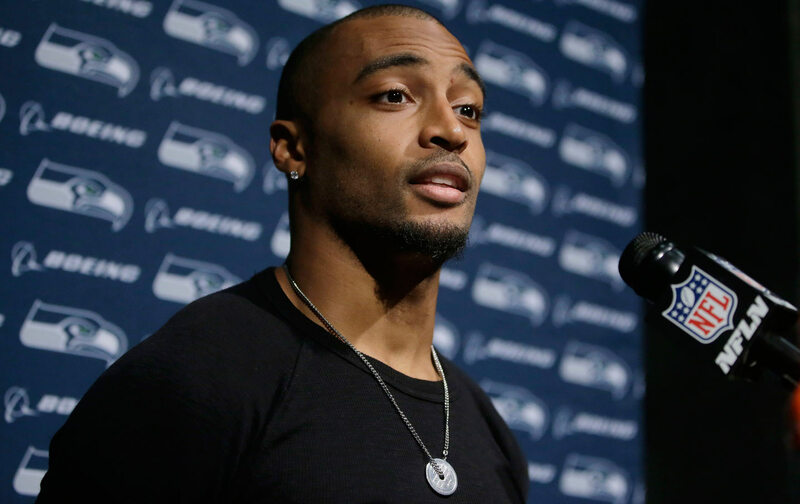 Seattle Seahawks wide receiver Doug Baldwin, Jr. has been one of the most consistently outspoken athletes this political season. On Monday, via Twitter, he helped momentarily sooth what has been a devastating week during which I had to both talk to my older Jewish relatives about how a KKK-sympathizer had won the Presidential election and help my daughter understand why a sexual predator was in the White House. So thank you Doug Baldwin for at least making me feel for one moment an emotion that wasn’t careening between tears and rage. Here are his words, culled together tweet by tweet. If there is one part I take issue with, is when he writes, “Inequality is greater than it has ever been. And solidarity is nowhere to be found.” Based upon the school walkouts, the demonstrations, and the organizing I have seen in the last week, solidarity is all around us. Without it, “hope” would be nothing more than an artifact. All of these tweets, assembled without edits, can be found here. When I was younger, I was fascinated by what it meant to be the President of the United States. A leader of the people and for the people. Somewhere in my younger adulthood I lost faith in the system. I hated politics. As an observant child I saw more inequality than equality. Civil rights movement. Women’s rights movement. And so on. How is it that we had to struggle so mightily for basic rights and respect. It goes far beyond racism in my eyes. Because if the slave owners were black and the slaves were white, we’d probably have the same issues. When you pull back the layers of inequality, it exposes classism. One class wants to oppress another class in order to maintain/gain power. Classism is the number one enemy to democracy. And in America it is destroying the American dream. But we the people allow it. We allow it by being uninformed. By being uneducated. And that is what the 1% of the 1% want us to be. Ignorant to the facts. The fact is that we are not currently living in a democracy. The fact is that the 1% of the 1% buy politicians and write policies. They control the gathering/distribution of wealth and power by distracting us with the importance of keeping up with the Kardashians. We’ve become a society more concerned with being individuals and looking out for oneself that we have forgotten the meaning of democracy. I know my thoughts may be concerning to some, but being on both sides of the coin has given me a great perspective. It’s scary to think that we are on a path to granting the wealthiest people in the world, the power to control the masses. And maybe that is why so many people were willing to vote for a president that didn’t meet previous expectations for a president. The way of life of many Americans is being destroyed. Inequality is greater than it has ever been. And solidarity is nowhere to be found. The dream that America once promised has become a nightmare for a lot of people. The lack of hope and empathy has created despair and pain. Empathy and sympathy for not only your fellow American but your fellow human has been lost. We are more concerned with status at any means. I don’t mean to be discouraging. But it’s hard not to face the problems of our society with discontent. We should expect more. Expect more from each other. But more importantly, expect more from yourself. Do better. Ecclesiastes 5:10 – Whoever loves money never has enough; whoever loves wealth is never satisfied with their income. This too is meaningless. I pledge to change the way I think. To be more empathetic to those with experiences I haven’t endured. I pledge to be more observant. To listen with two ears and to watch with two eyes. And ask questions. I hope by my expression in these few tweets that others will join in pledging to do better. I want my children to live in a world/country that is better than what we currently live in. And I don’t think that’s too much to ask.